Candida Albicans is a friendly yeast that lives in the large bowel, it feeds the good bacteria that help our bodies to stay healthy. If these good bacteria are compromised (for example, killed off through the use of antibiotics, oral contraceptives, steroids or following prolonged illness or stressful life events) then the digestive system becomes unbalanced. As the Candida Albicans are not being consumed in the gut, one can experience an overgrowth causing chronic Candidiasis. Adrenal insufficiency and diabetes have also been cited as factors which encourage Candidiasis. Such an overgrowth leads to Candida Albicans mutating into a parasitic fungus that can have numerous adverse effects on overall health. Studies of autoimmune patients have shown that a key factor in all of these serious diseases is an overgrowth of Candida Albicans. In order to grow, Candida Albicans generally trigger a craving for certain foods that feed it such as sugar and pasteurised cows milk products. Given time, the mutated fungal stage of Candida can even penetrate through the bowel wall (Gut Dysbiosis, Leaky Gut), passing into the bloodstream and throughout the body, also allowing proteins into the bloodstream, contributing to autoimmune responses. Once this happens, it can cause depression, listlessness, extreme fatigue during the day, and a 'hung over' feeling in the morning. In some cases other infections are the dominant factor, but more often than not other infections are co-existant with Candida albicans overgrowth/mutation as part of an overall state of microbial derangement. How Do We Eliminate Candida Albicans Overgrowth? Primarily, we refer people to the Infection elimination protocol, which is an effective Protocol Suitable for: Viral, Bacterial, Protozoan, Mycoplasmal, Parasitical and Fungal infections. Click on each of the above remedies to read the full detailed article. In addition to the supplements recommended in the article as specific anti-infection remedies we strongly recommend the addition of Wormwood to the regime. 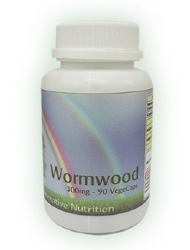 Wormwood has a strong fast acting anti-candida action especially on the gut, but has not such a systemic action. Wormwood (Artemisia Absinthium), is an anti-parasitic herb that has been used for many years as a digestive tonic. This fights Candida in the bowels. To read the full Wormwood article, please follow the link here. Once again we refer you to the Infection elimination protocol here. Section 1 of the article deals with boosting the immune system, and can be regarded as the support regime for this protocol. In addition to the supplements recommended in the article for boosting the immune system we strongly recommend the addition of Primebiotic which contains the highest quality, nutrient dense, green superfoods, pre-digested with 13 synergistic live beneficial bacteria. Primebiotic is a potent mixture of superfoods, cereal grasses, micro-algae and kelp. Cereal grasses are high in chlorophyll, vitamins, protein, minerals, and unique digestive enzymes. Micro-algae contain significant amounts of lipid, protein, chlorophyll, carotenoid, vitamins, minerals and unique pigments. Kelp provides all the nutrients from the ocean - nature's most complete nutrient 'store'. 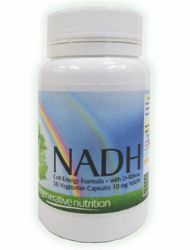 Exposing these wonderful ingredients to the pro-biotic process enhances their inherent ability to promote the growth and reproduction of friendly bacteria in the gut which feed on Candida Albicans. To read the full Primebiotic article, please follow the link here. If the Candida overgrowth has not been treated for a long time, then after elimination you may be left with Gut Dysbiosis (Leaky Gut) where the fungal stage of Candida Albicans have bored through the gut wall. We refer you to the Gut Dysbiosis protocol here. Anti - Candida Diets – Are they necessary? 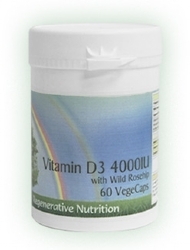 A wide variety of anti-Candida diets are available. However, we believe that provided one is taking the remedies described in this article then a strict anti-Candida diet is not necessary in all cases to overcome a Candida Albicans overgrowth. What is essential is the avoidance of all refined carbohydrates such as white bread, white rice, pasta, flour products such as cakes & biscuits and sugar. Avoid all alcohol. Wholemeal bread should be kept to an absolute minimum. Full fat, unsweetened live yogurt is recommended, as is coconut milk. Should the diet prove necessary, or if desired, then the following plan is recommended for at least 4 months. No over-ripe fruit, dried fruit, bananas, melons, or grapes. The natural sugar level in these is too high. No margarine, heated oils / fats, hydrogenated fats. These compromise the immune system. If you want the occasional fried food use olive oil or coconut oil, use a very low heat and keep a lid on the pan. Include some vegetable (i.e. onions) in the pan to provide plenty of water vapour to keep the temperature of the oil as low as possible. Burnt food, especially oils are immuno-suppressive and toxic. Keep all carbohydrates low for the first 3 months, includes all root vegetables such as carrots, swede, turnip, potato, sweet potato. For example one small serving of potato or carrot daily maximum. The anti-candida diet allows for plenty of protein, but large amounts of meat can congest the system. We therefore recommend mainly steamed, oven cooked (covered to avoid browning) or low temperature fried fish. The supplements recommended for the treatment of Candida Albicans are listed below. Not all will necessarily be discussed in the article, as some may have been added after the article was posted. If a listed supplement is not mentioned within the article, or you wish to know more about any of the listed supplements, you can find out more information by clicking on that supplement below. You can also now add to your basket directly from this page.